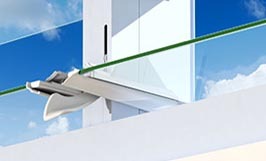 There are many framing systems today that will allow a security screen to be placed to the outside of your Altair Louvres. Allows soft diffused light into the room and retains privacy. Allows a soft diffused light into the room while retaining your privacy. Tints your view slightly and reduces the amount of heat and glare. 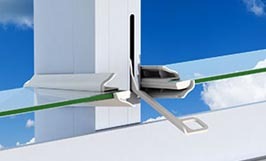 Reduces heat in your home and provides privacy with ventilation. Aluminium with Decowood Finish provides privacy with ventilation. Altair Louvres with the Stronghold System are designed to mechanically retain blades so you can gain the benefits of full ventilation and safety in multi-storey applications. For further information please visit our Stronghold page. The page will open in a new browser tab so your form details are not lost. Would you like to add the Stronghold System? IMPORTANT: Would you like to add the Stronghold System? 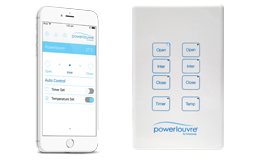 Powerlouvres can be operated by the Apptivate Control Unit, Powerlouvre App or Building Management System. Keylocks are available in one metal finish and are ideal for added security. NOTE: Not available with the Powerlouvre or Innoscreen Window System. 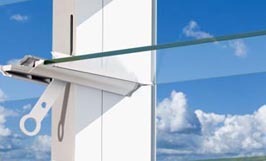 To locate your closest Breezway Preferred Fabricator, please visit the Where to Buy page for more information.